Revolution Day is one of the public holidays in the Gambia. It is celebrated on July 22 to commemorate the 1994 coup d'état led by Yahya Jammeh. 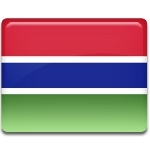 The Gambia gained independence from the United Kingdom in 1965 as a constitutional monarchy within the Commonwealth of Nations. In 1970, the Gambia became a republic, but did not withdraw from the Commonwealth. Former Prime Minister Dawda Jawara became the first President of the Gambia. His rule was first challenged in 1981, when the leftist National Revolutionary Council led by Kukoi Samba Sanyang attempted to depose Jawara. The coup was unsuccessful, but it reflected the desire to change that existed at least in some segments of the Gambian society. On July 22, 1994, a group of young officers led by Yahya Jammeh overthrew Jawara and seized power. The coup was bloodless and met with very little resistance. In 1996, Jammeh was officially elected as President of the Gambia. He was re-elected for three more terms in 2001, 2006 and 2011. Jammeh declared the anniversary of the coup a national holiday, Revolution Day. It is marked with official ceremonies and cultural events. Opposition leaders disapprove of the holiday because it is liked to an unconstitutional overthrow of the government.